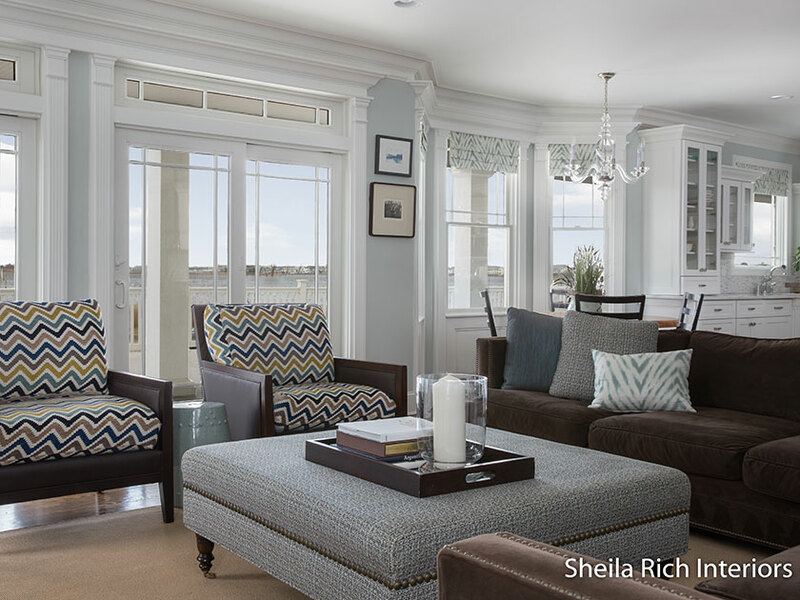 Sheila Rich Interiors is an award-winning, full-service interior design firm. We create residential and commercial interiors that speak uniquely of each client. From concept to completion, every detail of your home or office will elegantly express and support your individual lifestyle, tastes and needs. “Beautiful spaces are a given, healthy spaces are a must." This renovated Red Bank NJ condo has panoramic views. The open floor plan was created with the kitchen at the center of the living space. This summer home on the Atlantic Ocean has a fresh traditional aesthetic creating an exciting, timeless interior. The design is appropriate year-round and for the holidays and family gatherings. Rich millwork creates a feeling of classic luxury. This beach house kitchen with an ocean view is filled with guests who love to cook. The kitchen was completely renovated with a soft contemporary ambiance and optimal flow. Shaker cabinet doors with a glazed custom peppercorn finish have a slightly weathered yet modern feel. 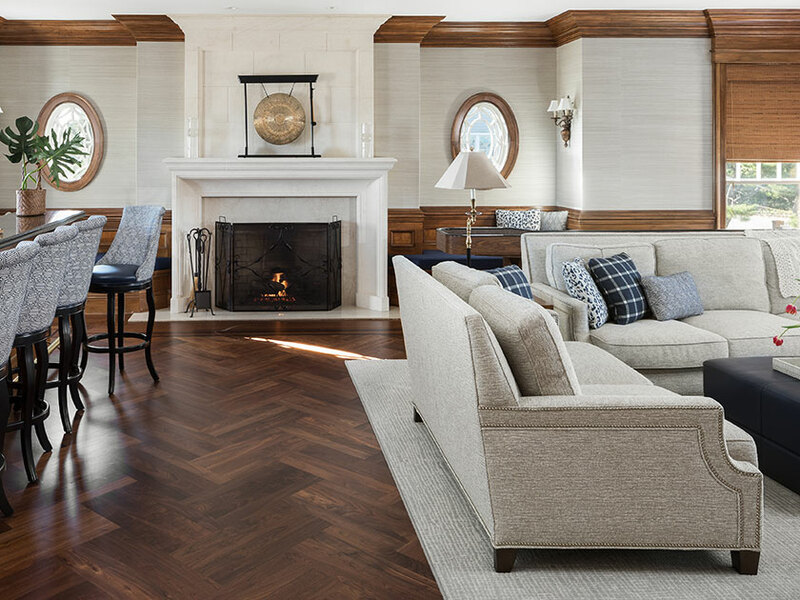 Combining contemporary and classic furnishings creates an exciting, timeless interior in this four-season beach residence. As a primary family residence, the design is appropriate year-round and suits the family's lifestyle. The beautiful mill work and details create a feeling of substantiality and permanence. 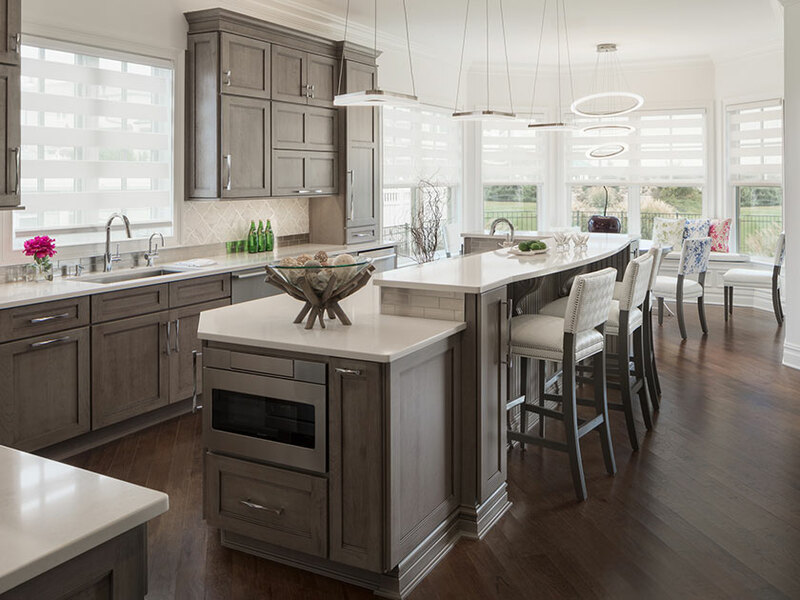 Homes with open floor plans have lots of volume to fill as well as having one basic design challenge in common: how to create relaxed luxury and definition throughout. This home, which is in an active adult community, has ten-foot ceilings and few interior walls. Warmth was created by defining the spaces without enclosing them and maximizing architectural details. 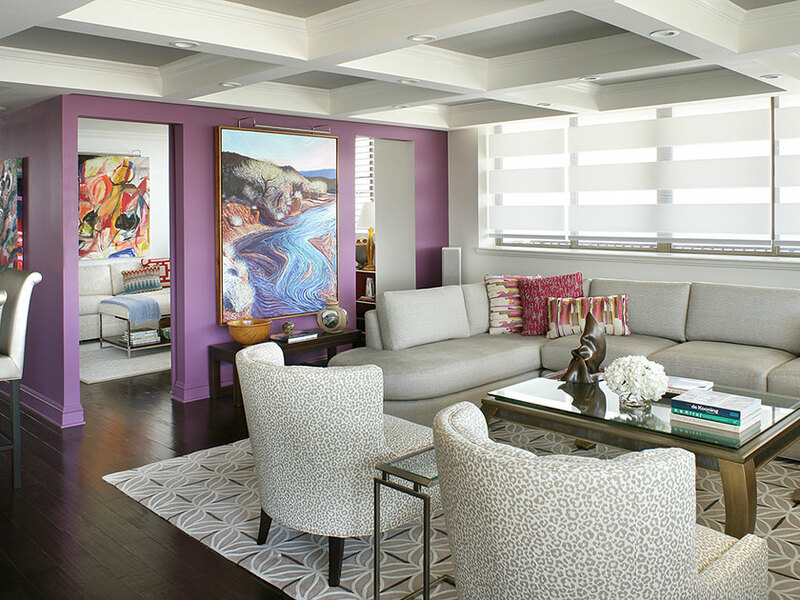 A color blocked wall in Purple Passion paint provides the perfect backdrop to the artist's own original artwork. 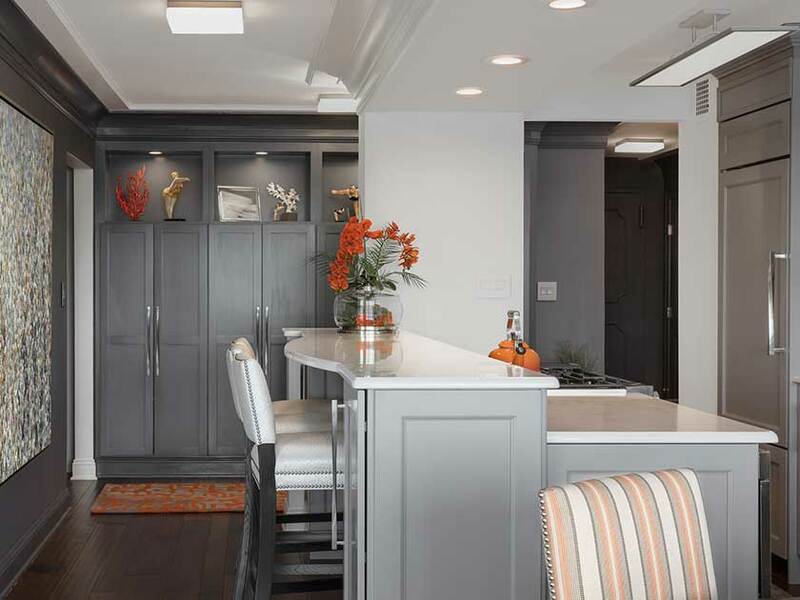 Dramatic definition and depth is created in the new coffered ceilings a contrasting gray paint in the coffers. The hand-knotted custom rug with a fresh modern pattern grounds the conversation grouping, and motorized shades can be lowered to protect the furnishings or raised to any point to expose the beautiful oceanfront view.